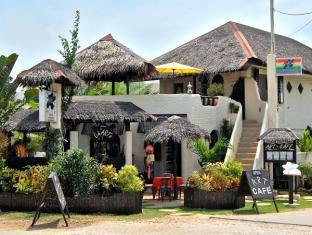 The Lost Horizon Beach Dive Resort is perfectly located for both business and leisure guests to Bohol. The Lost Horizon Beach Dive Resort provides all the amenities that today's travelers desire in all of its 32 rooms. Each guestroom features amenities such as air conditioning, daily newspaper, hair dryer, internet access (wireless), internet access. The amenities and services offered at this Bohol accommodation include coffee shop, bar/pub, restaurant, room service, safety deposit boxes, disabled facilities, hotel/airport transfer, tours. Hotel's guests can experience on-site latest leisure and sports facilities such as massage, pool (kids), jacuzzi, outdoor pool, garden. Along with its convenient location in Bohol, The Lost Horizon Beach Dive Resort also offers a wide range of services and facilities to the guests. To make a reservation at the Lost Horizon Beach Dive Resort Bohol with our secure online reservation form, please choose your preffered period of stay.